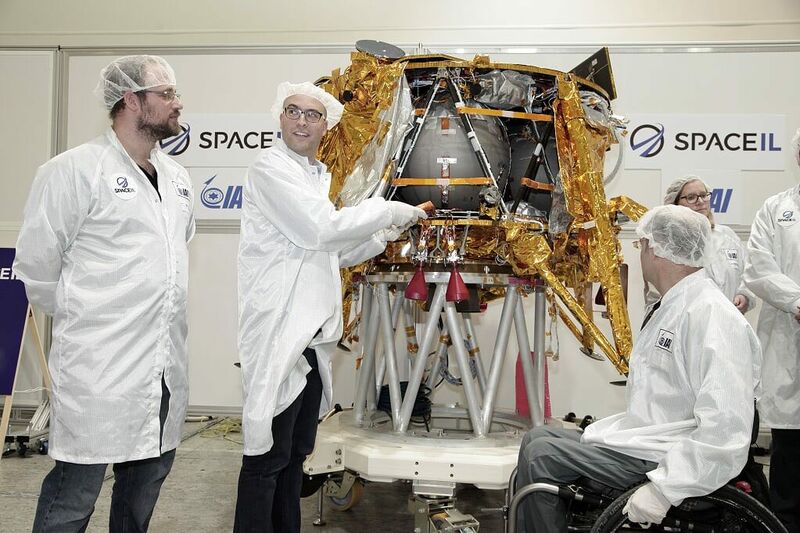 Six weeks after launching from Cape Canaveral, an Israeli-built probe funded through private donations arrived in orbit around the moon Thursday, setting the stage for the mission’s final descent to the lunar surface April 11. 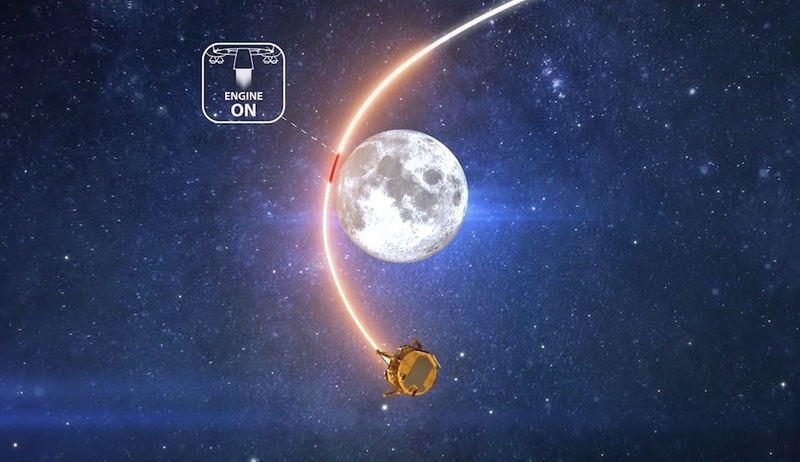 Engineers at the Beresheet mission control center in Israel confirmed the successful maneuver after telemetry radioed from the spacecraft showed it fired its main engine for approximately six minutes, slowing its speed enough to allow the moon’s gravity to capture the probe in an elongated lunar orbit. The Beresheet spacecraft ignited its main engine at 1418 GMT (10:18 a.m. EDT) Thursday for the make-or-break maneuver to steer into orbit around the moon. If the probe misfired, Israeli officials said the spacecraft would have continued on into deep space, bringing the mission to an end. 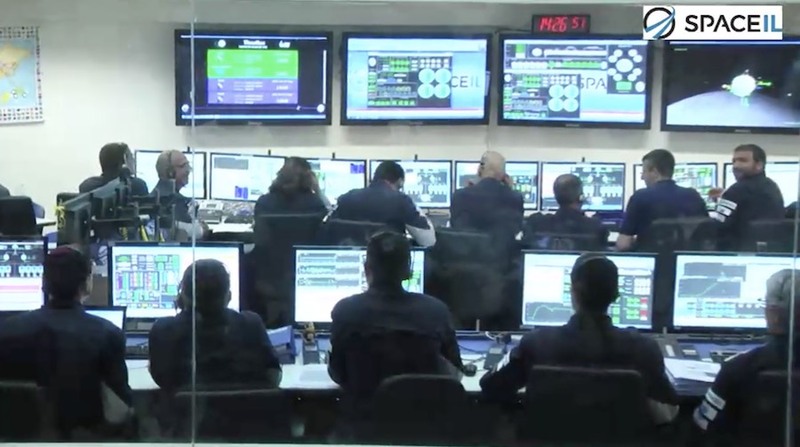 Mission controllers, managers and VIPs watched as data relayed from the spacecraft to the Israeli control center showed the engine burning normally. 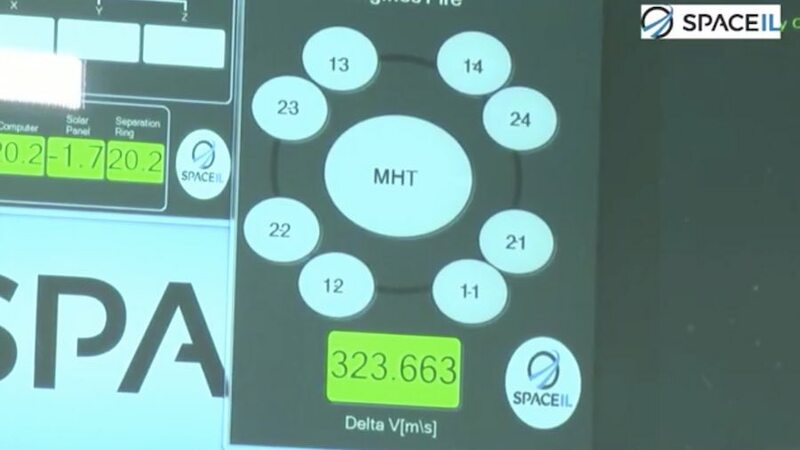 A display showing the total velocity change, or delta-V, from the engine firing counted upward until it reached 323.663 meters per second (724 mph). The engine burn was designed to slow the probe’s velocity by 324 meters per second, and officials celebrated the result, which made Israel the seventh country or international organization to place a spacecraft in orbit around the moon — after Russia, the United States, Japan, the European Space Agency, China and India. Beresheet was expected to enter an elliptical, or oval-shaped, orbit ranging between 310 miles (500 kilometers) and 6,200 miles (10,000 kilometers) above the moon’s surface. 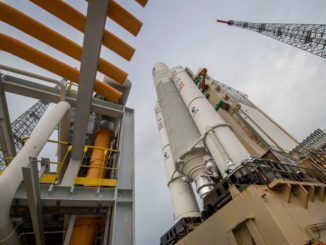 Several more engine firings during the next week will place Beresheet in a circular 124-mile-high (200-kilometer) orbit in preparation for landing. Beresheet’s lunar capture maneuver Thursday was also historic for the commercial space industry. The mission was designed, built and launched for around $100 million, and almost all of the funding came from private donors and corporate investments. Morris Kahn, a South African-born Israeli billionaire, contributed $40 million of his fortune to the project. Kahn, 89, was at Beresheet’s control center in Israel for Thursday’s critical maneuver. But more perils remain ahead for Beresheet. Its mission will culminate with a landing April 11 — next Thursday — in the Mare Serenitatis, or Sea of Serenity, region on the upper right part of the moon as viewed from Earth. 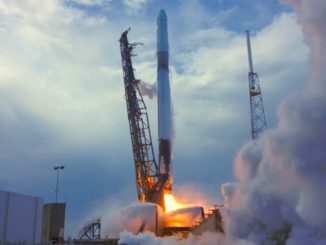 Beresheet launched Feb. 21 from Cape Canaveral aboard a SpaceX Falcon 9 rocket, riding piggyback with a larger Indonesian communications satellite and an experimental U.S. Air Force spacecraft. The Falcon 9’s upper stage released Beresheet in an elliptical orbit ranging as high as 43,000 miles (69,000 kilometers) in altitude. After separation, the spacecraft deployed its four landing legs. With the lander gear extended, Beresheet has a diameter of around 7.5 feet (2.3 meters) and measures 4.9 feet (1.5 meters) tall, about the size of a golf cart. A series of main engine burns nudged Beresheet into longer orbits that took the spacecraft farther from Earth. Beresheet traveled more than 3.4 million miles — about 5.5 million kilometers — between its departure from Cape Canaveral and arrival in lunar orbit. 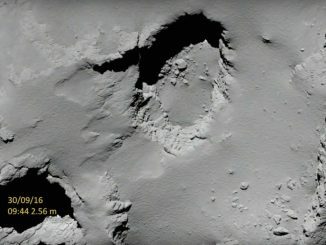 With Beresheet’s landing — the spacecraft’s most challenging task — still ahead, SpaceIL officials are still cautious about the the mission’s chances of a safe touchdown. Kahn, the mission’s largest single financial contributor, serves as SpaceIL’s president. Other donors include Miriam and Sheldon Adelson, a casino and resort magnate who lives in Las Vegas. IAI, the lander’s prime contractor, also invested some of its own internal research and development money into the program. The entire mission cost significantly less than any government-backed lunar lander. Still, raising $100 million from private donors proved a challenge. Opher Doron, general manager of IAI’s space division, said he originally did foresee any business applications for the custom-designed lander design after the Beresheet mission. But that is changing as NASA and the European Space Agency look at purchasing commercial rides to the moon for science experiments, and eventually people.